Even if you consider yourself a financial “basket case,” Chilton explains how you can easily put an effective financial plan into action. In this third edition of one of the biggest-selling financial-planning books ever, David Chilton simplifies the complex puzzles of personal finance and helps you achieve financial independence. 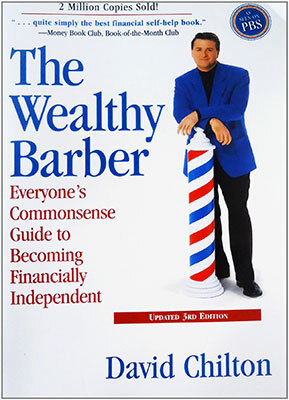 With the help of his fictional barber, Roy, and a large dose of humor, Chilton shows you how to take control of your financial future–slowly, steadily, and with sure success. Chilton’s plan (detailed in an entertaining story) is no get-rich-quick scheme, but it does make financial independence possible on nothing more than an average salary. Another finance book that reads like a story. It’s a great story with some great lessons on spending and investing. The audiobook version is well read and fun to listen to.